We are stamina and perseverance, competitive winners and hard workers. We step up when it's time to move up. We are powerful and proud. We are Patriots. Start where impossible ends. Everyone has a story to tell. You have a story, but you don't have to write it by yourself. We will help you find your future and stand by you when you make the world great. With more than 40 academic majors, minors and pre-professional programs, you can customize your college experience with your interests and passions. Then there are field experiences, study abroad and internships to shape that trajectory to the future. The best story you can tell starts here. If your course for the future is still unplanned, let us help with that! Reach out to our Admissions office and be sure to submit your FAFSA application early. University of the Cumberlands can equip you with the skills and support you’ll need for a satisfying and rewarding life! Take in the panoramic view of red brick buildings trimmed in white, with mountains towering in the background. Listen to the bells chime. Feel the warm welcome from the Williamsburg community. It won’t take long before it all feels like home. Come see for yourself the great opportunities available to you on our beautiful campus! This could be your home for the next four years. It could be the place that changes your life. Our tuition rates are among the best in the state. We're committed to making college affordable. University of the Cumberlands is beautiful beyond words. Walk across campus and draw strength from the Appalachian Mountains or the cloudscapes above our iconic cupolas. It's a great place to spend the best four years of your life. We are hopeful for the future, ready for action and open to the world. University of the Cumberlands is proud to announce Mr. Quentin Young as the University’s new Vice President of Finance and Chief Financial Officer. Senior art majors at University of the Cumberlands will be exhibiting artwork in the gallery on campus from April 15-26 from 9 a.m. – 4 p.m. All art-lovers are invited to come peruse the gallery. 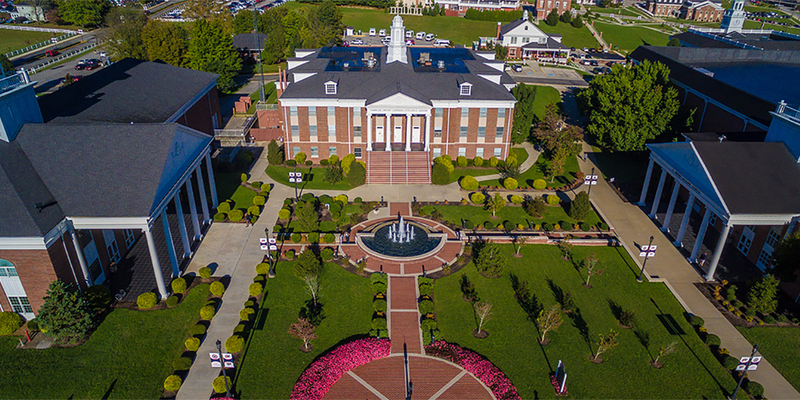 Alumni and friends of the University generously donated $76,162 to the school as part of Cumberlands’ first-ever Give Day, held on April 4. In all, donors gave to 62 different campus programs. 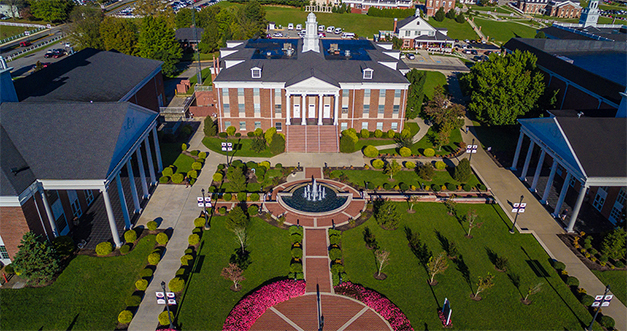 On Monday, April 15th, the University of the Cumberlands will cut the ribbon on their beautiful new Fitness Court®! Located on campus near the Recreation Center, UC will be the first school to join the National Fitness Campaign in 2019 and bring world-class fitness outdoors. Every week, the Corbin Community Backpack Program (CCBP) fills backpacks with non-perishable food items for impoverished schoolchildren in Knox and Whitley Counties to take home over the weekends.